Minister of Public Enterprises Pravin Gordhan on Tuesday shocked South Africa with the news that Eskom’s rickety state is much worse than initially thought and that it is unclear when load shedding will stop. This is what you need to know. 1. Load shedding is here to stay: Eskom and government believed it would have been able to put to bed the utility’s major issues by January 2019. It didn’t happen, the problems are much deeper and now we will have load shedding for the foreseaable future. 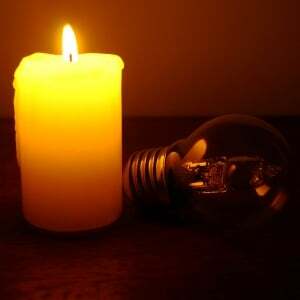 Load shedding is Eskom’s only option to keep the power supply stable, if irregular. 2. There is no end in sight: Gordhan and Eskom’s management team were unable to say when load shedding will stop. The utility and government is still working on trying to get a grip on the enormity of the problem and will only be able to provide more clarity in 10 to 14 days’ time. 3. Too little, too late: The maintenance of Eskom’s fleet of power stations over the last decade has been poor. Turbines have been run into the ground while regular upkeep was not done. In addition maintenance budgets have been reduced by more than a third over the last seven years. And now they’re falling over one by one. 4. The new build programme is a disaster: Coal plants Medupi and Kusile were supposed to offset and support the losses incurred with the planned closing of some power stations and planned maintenance on others, but Medupi is tripping daily while Kusile is not commercially operational. Both cost billions and their contribution to the grid is minimal. 5. Integrity issues: The remnants of the state capture project are still alive and active in the bowels of Eskom, resisting change and thwarting attempts at recovery. The culture of the organisation is such that more than 3 000 employees have been identified that have set up businesses and other vehicles to fleece the company, while a brazen attempt to swindle more money out of the company was blocked in the last 48 hours. 6. It’s about the money, honey: Eskom cannot finance itself. It cannot lend. It can only rely on government guarantees. That’s the net effect of the gross financial mismanagement over the last decade. Eskom has been unable to raise funds since mid-2017 and needs to borrow (from government) in order to pay its debts. 7. Quality of coal: Coal suppliers have also taken advantage of the malaise and corruption at Eskom to cut corners and deliver substandard coal. And unscrupulous middlemen have used the opportunity to sell sand and rock as coal, sometimes at prices as high as R900 per ton – for rubbish. The result? Damaged and corroded power stations. 8. It’s been getting increasingly worse: Between February 2017 and February 2018 Eskom’s systems tripped 300 times. But between February 2018 (when Cyril Ramaphosa became president) and February 2019 the system tripped 456 times. The cumulative effect of poor planning, poor maintenance and corruption is biting. 9. This is the minister speaking: Gordhan has been through the wars over the last four years, but this challenge is enormous. His message on Tuesday was that South Africans are going to have to grit their teeth and take it on the chin. “I however appreciate the levels of anger, frustration and despair…” he said. It's doubtful whether it will be enough for a punch-drunk public.